What Is the FDIC and How Does It Work? You’ve probably heard of the FDIC – but do you really know what it does, and how it can help protect your money? 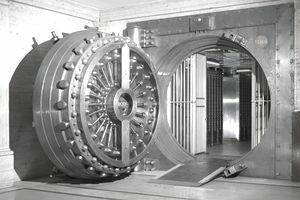 Set up after the Great Depression when a number of banks failed, the Federal Deposit Insurance Corporation (FDIC) insures deposits (also called FDIC insurance) in banks for up to $250,000 in the event that a bank fails. The FDIC is meant to ensure public confidence in the U.S. financial system. While it may seem like insuring your funds is a purely personal benefit, the FDIC also mitigates potential negative effects on the economy and financial system when a bank fails. If you are a member of a credit union you will receive similar coverage through the National Credit Union Administration (NCUA). Be sure to check that your bank or credit union is a member of one of these associations so that your money is protected. What Are the Guidelines to Protect My Money? It is important to fully understand the FDIC guidelines so that you can take advantage of them, and be better protected. The standard amount that the FDIC insures is $250,000 per depositor, per insured bank, for each account ownership category. The accounts that are insured are deposit accounts such as checking accounts, savings accounts, money market savings accounts, IRAs, and CDs. They do not insure any investment accounts that you may have through the bank, such as mutual funds, annuities, stocks, and bonds. It’s wise to completely understand what’s insured by the FDIC and what is not, so you can best protect your savings. How Does the FDIC Determine Coverage Limits? When determining the amount of coverage, the bank will look at the account owner name, then determine how many accounts and the dollar amount you have with the bank. If you have three accounts are in your name only at a bank, and the total is more than $250,000, then only the first $250,000 is guaranteed. If you have more money than this you should consider opening accounts at different banks (not different branches of the same bank) to better protect your money. The bank will look at the total in all of your checking, and other accounts under the same exact name as one for the $250,000 protection. For example, if you have a checking account in your name with $100,000 and a savings account in your name for $200,000, they will look at the combined total of $300,000 and insure the first $250,000. How Does Joint Ownership Affect Coverage? If you have joint ownership of an account and an individual account, you may qualify for more insurance. For example, if you have an account that you are the sole owner of and a joint account with your spouse, each of these accounts will be looked at separately to receive the FDIC guarantee. Additionally, if your spouse has an individual account as well, then that money would also be insured. This means that you may be eligible for up to $750,000 in protection under this rule. You can ask a customer service representative to help you determine the amount of insurance you would qualify for with your specific accounts. If your bank were to fail, you would need to contact the FDIC to find out how to recoup your money. The FDIC is not required to give notice before shutting down a bank but does post contact information, so that you can know the steps you need to take to get your money back. You can call them at 877-ASKFDIC or at www.fdic.gov. When you are considering opening a new bank account, make sure that they are an FDIC member. They will display a sign in the window and at the teller windows. Additionally, it should be posted on their website. If you are opening an account through an online bank, you will also want to make sure they are insured. You can check that they are by visiting the FDIC website and verifying that they are a member. Worth noting: Some online banks do not belong to the FDIC. It is important that you fully understand whether your bank has FDIC coverage so you can make an educated choice, and protect your financial future.